I’m strong to the finich, ’cause I eats me Spinach! So said Popeye, the sailor man! Add the protein power of soya chunks to his spinach, and he will be moving mountains! 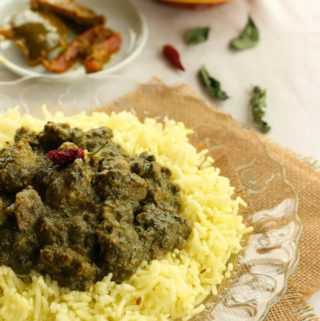 This soya chunks spinach curry is delicious and super healthy. The way it turned out was a completely pleasant surprise for me. I sometimes make soya matar (soya chunks with peas) in yogurt curry or plain onion-tomato curry but this was my first time cooking them in a spinach curry. 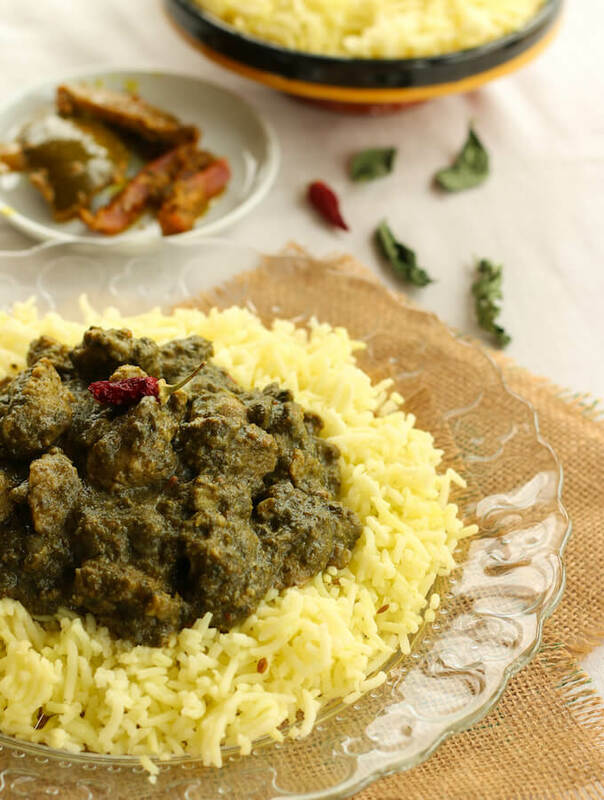 For a recent dinner gathering at home, I was thinking of making a spinach curry and my mind straight away thought of palak paneer. Thankfully, there was no paneer available in the store and I didn’t have enough time to make paneer at home. Usually, I substitute paneer with tofu, especially if I have to make a vegan curry, but this time I just picked up a packet of soya chunks. I love how soya chunks are so versatile. They can easily be substituted for meat, for cottage cheese and also for potato in most Indian curries. I don’t cook with soya chunks or soya mince as often as I should. For vegetarians, soybean is a great source of protein and many recipes use soya chunks and soya mince to create textured vegetarian protein. Given their health benefits and the ease of cooking, I really should be adding more of soya nuggets in our meals. Soya chunks or Soya nuggets are high in protein and can be easily used to replace meat in many recipes. 100 g of soya chunks have 50 g proteins! Apart from protein, soya chunks are high in fiber and a source of Vitamin B and Omega 3. Spinach is a nutritional powerhouse in itself— an excellent source of folate, vitamin A, vitamin C, vitamin K, magnesium, and iron. It is low in calories, enjoys a high water content and provides lots of fiber. It is the perfect diet food and rightfully called a superfood! Since soya chunks are dehydrated, you first need to soak soya chunks in hot water for about 30 mins. Alternatively, you can also boil them in water till they become soft but just soaking also works. In this recipe, I further soaked them in milk, which is totally optional. The addition of milk gives the spinach curry a creamy texture and adds to the soya nuggets softness. A little care with spinach (and with other leafy greens) — make sure you wash them thoroughly under running water so that there is no dirt or soil sticking to them. I made turmeric rice to serve with this spicy soya chunks curry. To make turmeric rice, just add ½ tsp turmeric and 1 tsp cumin seeds to the plain Basmati rice recipe. Soya chunks are soaked in milk and then cooked in a spicy spinach gravy in this soya chunks curry. Milk is optional. Packed with soy protein and vitamins from spinach, it is delicious and super healthy. Drain and squeeze out water from the soya chunks. If some chunks are very big, cut them into half or smaller size. Add the milk to soya chunks and keep aside. Heat oil in a pan. Add asafoetida and cumin seeds. When the seeds start to sputter, add onions, ginger and green chilies. Mix well and cook for 5 mins till the onions start to turn brown. Add tomato puree and all the spices. Mix well and cook for another couple of minutes. 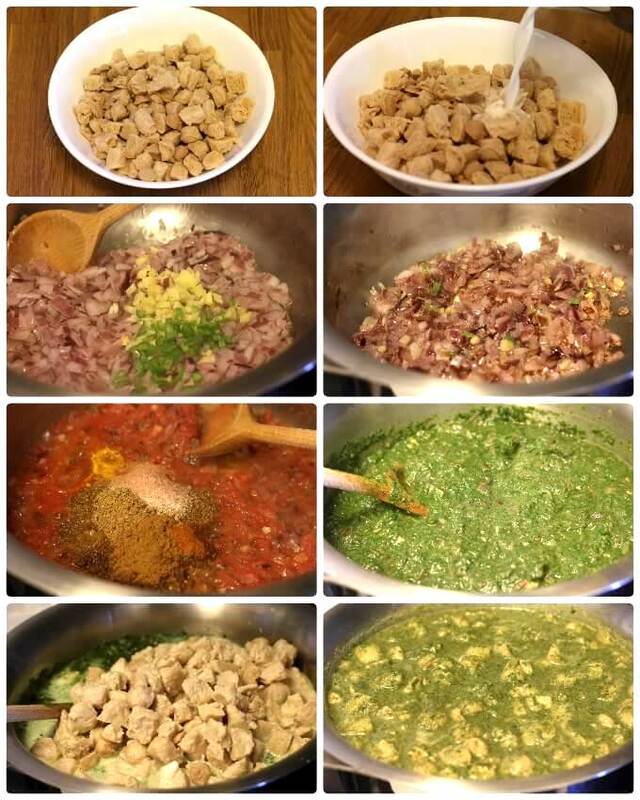 Add the spinach puree, mix and cook for 5 minutes. Next, add the soya chunks along with the milk. Mix and bring the soya curry to a boil. *Milk adds to the creaminess to the curry, but for a vegan preparation you can either omit it all together or use a non-dairy milk variety like rice milk or almond milk. Other won’t go that well and using soy milk will make the amount of soy protein in the recipe too high. Like most food stuff, soya protein should be eaten in moderation. Soya with all its healthy benefits also contains isoflavones — a type of phytoestrogren that mimics the effect of estrogen on the body. Side effect of soya protein may include hormonal imbalance. Tried this. Hands down, it’s so delicious. Made jeera rice with soya palak.. I am glad you liked the recipe and thank you so much for sharing the pic on Instagram! 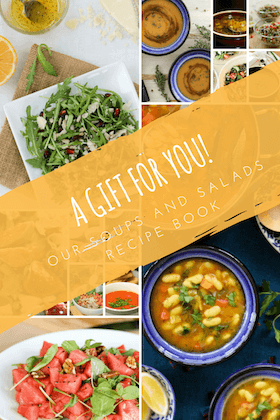 Your feedback really encourages me to keep trying and sharing new recipes.